The consistency of longer sessions with the same group of children and the same counselors gives campers a strong sense of belonging and builds community. 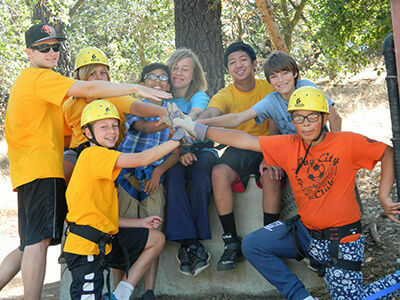 Campers have more time to learn new skills, form lasting friendships, and succeed as a team.  Each camper belongs to a group of campers of similar age, and campers stay with their own camper group throughout the day. 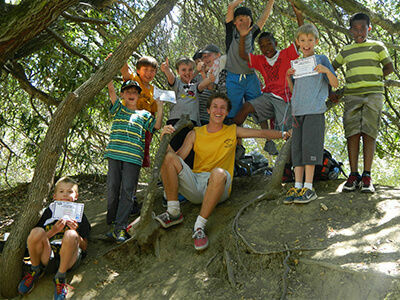 The camper group is lead by an adult counselor and consists of 12 campers who are together for the entire camp season. Each counselor is responsible for the safety, supervision, and well-being of the group. He/She helps all the campers to make new friends and become an important member of the team. Campers get to make strong new friendships while connecting with nature. Our younger groups have junior counselors to assist. First through eighth graders are in all girl or all boy groups. Our youngest campers (Preschool and Kindergarten) and CILTs (9th and 10th grades) are in coed groups. Our overall camper to staff ratio is 4:1. Specialty staff teach the program activities tailored to the ability levels and the age appropriate readiness of each camper group since campers are so closely grouped by age/grade. Campers make amazing progress over the session as they learn new skills, and the confidence they feel from their many successes! Every Camper thinks Their Own Group is the best in Camp! Our counselors set positive guidelines and build strong supportive relationships between campers, encouraging every child to reach their potential. 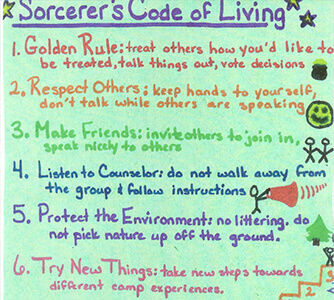 At the start of the session each group comes up with a set of guidelines the group will follow called their Code of Living. This becomes the foundation to build lasting friendships and helps each campers work effectively with one another. Respect and camaraderie are the basis of each group’s Code of Living. Teamwork & Life skills for the 21st Century! A key part of the Roughing It experience is campers of all ages learn to work together as a team, collaborating with one another, solving problems together, help each other, and have fun. 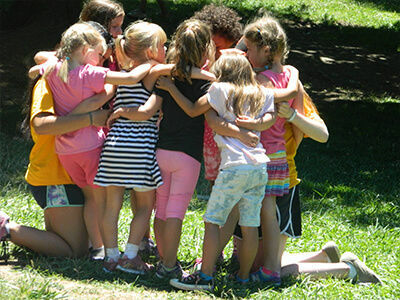 All our campers – from preschool to teenage CILTS – solve problems, make plans, and support each other every day at camp. 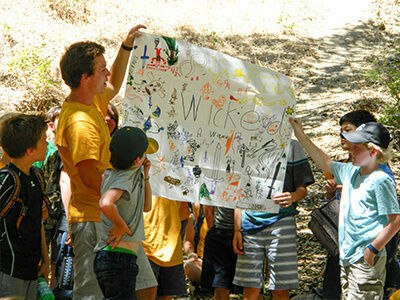 Camper teamwork makes outdoor fun at the spectacular Lafayette Reservoir even more magical! These are skills that our campers need to develop to be successful in the workplace and in their personal lives. At Roughing It, camper group activities are fun, give campers a chance to get to know one another, and to work, play and enjoy camp together. Campers vote on their unique group name, come up with their Code of Living, make a group flag, search for secret forts, create cheers, songs and skits, build lizard huts and look for the daily Du’juno. Camp spirit soars as campers show their group flag and cheers!